my housemate, Brandon, was Raphael for Halloween. 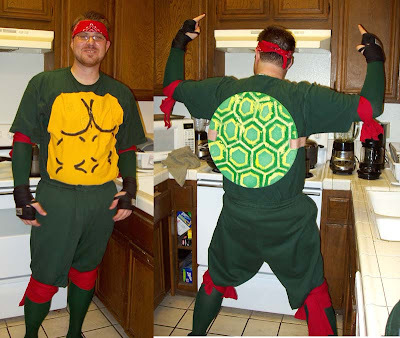 Costume stores no longer sell Ninja Turtle costumes, so he had to make it himself. I think it came out pretty tight.